Our Window Visualizer allows you to check how our window styles will look after installation. In this online tool, you can scroll the inventory filled with various designs to find the best fit for your home’s decor. Then, you are provided with a full preview of your chosen window and its appearance in both the interior and exterior of your home. When you enter the online tool, you will be asked to upload an image of your home’s interior and exterior, which will then become the basis for the design. The tool will then work to superimpose the windows to the image through visual alterations. With just one click, you can now see how your home appears with specialty windows. Don’t have a photo of your own? You can still use the Window Visualizer to choose from a vast gallery of ready-to-use sample images. Be sure that your choice bears an strong similarity to your home’s aesthetic. This option allows you to further explore the many options available through Renewal by Andersen®. One unique advantage of using the Window Visualizer involves the other choices you can get before narrowing down the best window for your home. Customization is a key component here, in which you can select from a variety of maintenance-free finishes, trim sizes and grille types. These can help you envision how your windows will look like with these additions. 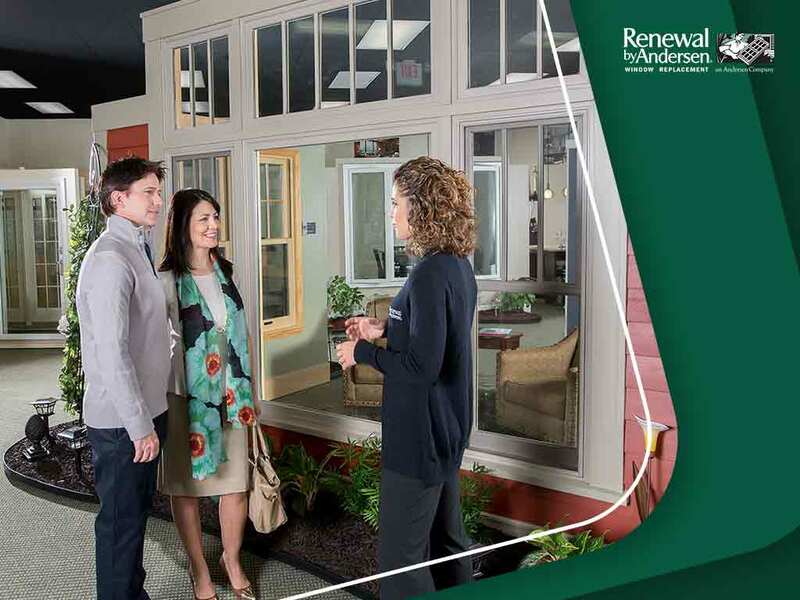 Contact our casement window replacement pros to discuss your plans to reinvigorate your home. Call us at (262) 955-8400 today. You can also fill out our contact form for your free in-home consultation. We serve Milwaukee, WI, and the surrounding areas.